I recently made some playdough for my daughter. She's been playing with some at her grandparents' house and absolutely loves it. I had never made it before, so I decided to try it. Mix flour, warm water, salt, vegetable oil, and cream of tartar in a large sauce pan over low heat. Tip: I stirred it very frequently, it will start to develop clumps as it gets close to being done. When the dough pulls away from the sides of the pan, and is no longer sticky (feels like playdough), turn dough out on a clean counter. Divide for coloring. Tip: If it feels sticky, cook a little longer. 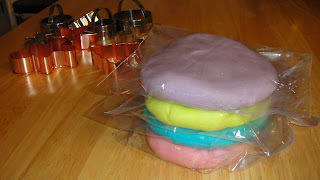 I put my divided dough on tinfoil to color so I wouldn't stain my table. 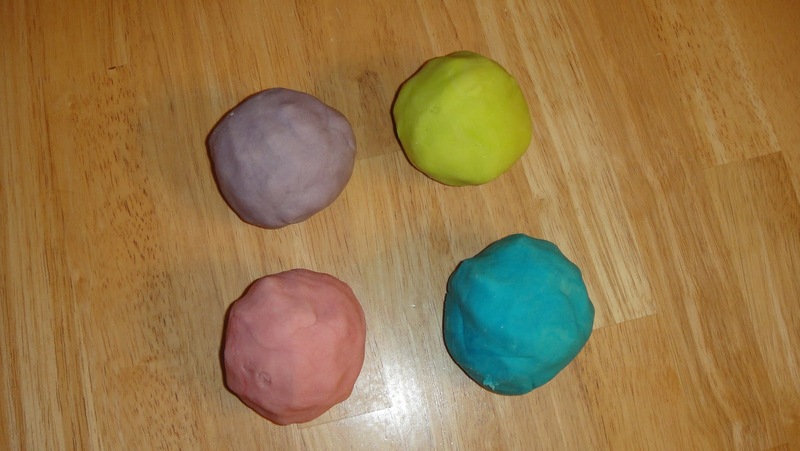 The coloring stays in the dough once it's mixed. Make a divot in the center and add food coloring (I used 6-8 drops). Fold dough over and knead until color is evenly spread. You can also add fragrance. Tip: If dough starts to dry out, get your hand slightly damp and knead. It will fix it. However, if it gets too dry, you'll just have to make more. I got out my cookie cutters and let my daughter go nuts. It was fun. It didn't make much of a mess, either. I think the homemade kind is better than the store bought. It's softer and doesn't seem to make as much mess. That and it's cheap and easy! I stored mine in plastic bags, but plastic containers would probably be best. Storing in the fridge can help prolong its life. Again, it's easy and cheap, so if it does dry out...just make more. 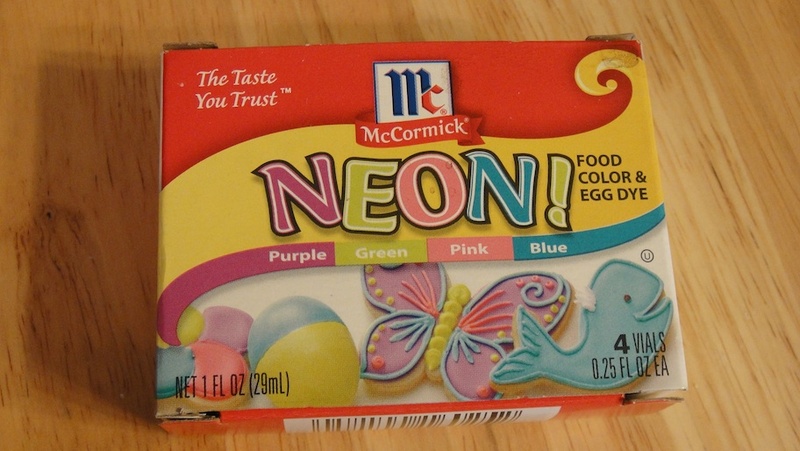 The dough shown was colored with McCormick's Neon food coloring. The recipe was taken from Instructables.com, although I simplified the instructions. They do have step-by-step pictures if you want them. Have your own recipe? Post it in a comment below! I'd love to hear it. I think we're going to have to make us some more. The grandkids have loved it.